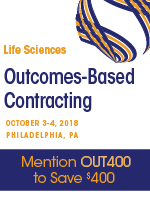 CBI’s 3rd Annual Life Sciences Outcomes-Based Contracting Summit is the ideal platform to discuss best practices for value optimization and price alignment with health outcomes data and provides critical strategies into the process of outlining, structuring and negotiating risk-sharing agreements between bio/pharma manufacturers and payers. 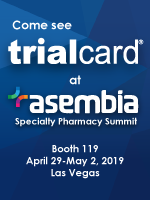 This timely event will address the continuous challenges the industry faces to lower drug costs and increase patient access, all while demonstrating the value of their drugs to insurers by providing best practices and key insights from thought-leaders regarding the nuances surrounding outcomes-based contracting. 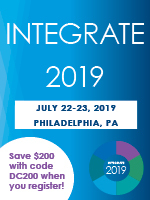 Gain critical insights from distinguished speaking faculty, including those representing AstraZeneca, Novartis Pharmaceutical Corporation, Aetna, University of Portsmouth, Center of Medicine in the Public Interest, BeiGene, Ltd., University of Washington Medicine Health System, Bristol-Meyers Squibb and more. Download the complete agenda, then register using promo code OUT400 to receive $400 off* the standard rate. *Expires 10/2/18; applies to standard rate only and cannot be combined with other offers or applied to existing registration.